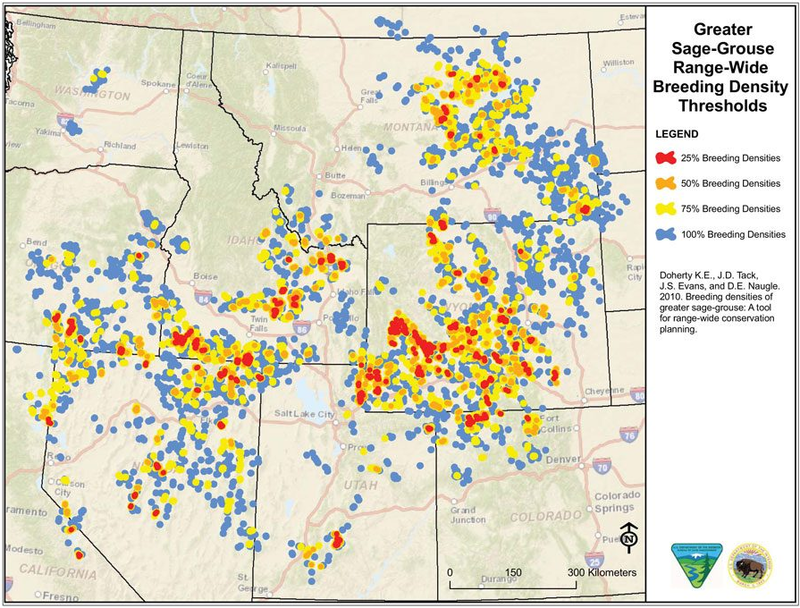 Testimony of Dr. Clait E. Braun (2013) before Congress on H. R. 657 - Grazing Improvement Act, involving Sage-grouse. This bill had a lower chance of passing, while the Senate verion has a higher one. S. 258. This was just revised on May 2014. 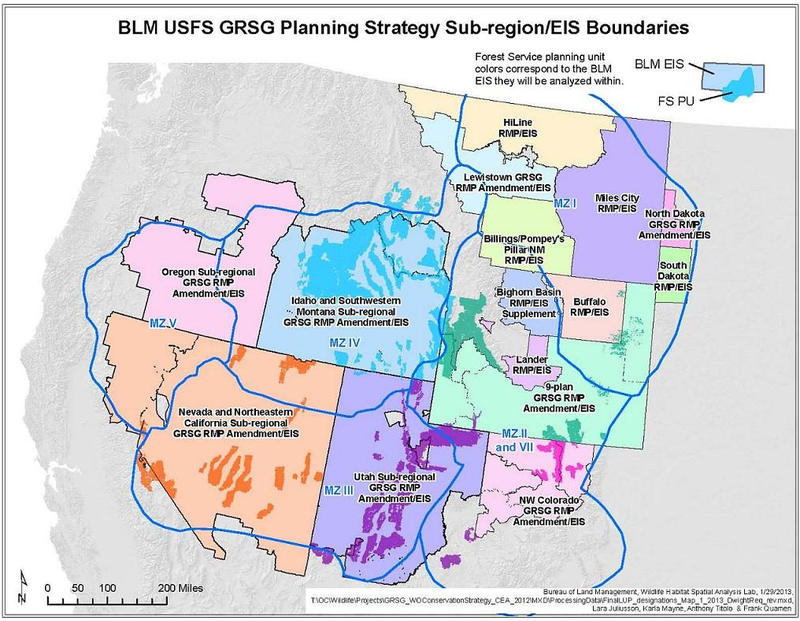 "In their March 2010 listing decision, the USFWS concluded that the key threats to the continued survival of sage - grouse are 1) habitat loss, fragmentation, and modification and 2) inadequacy of existing regulatory mechanisms, particularly in relation to energy and other development . The USFWS also evaluated the 'utilization' (e.g. hunting) of sage - grouse and concluded that 'the greater sage - grouse is not threatened by overutilization for commercial, recreational, scientific, or educational purposes now or in the foreseeable future' "
Hunting sage-grouse in Montana is a regulated activity that involves scientific population monitoring and the ability to adjust seasons as appropriate, including season dates, season length, bag limit, and area restrictions. a. 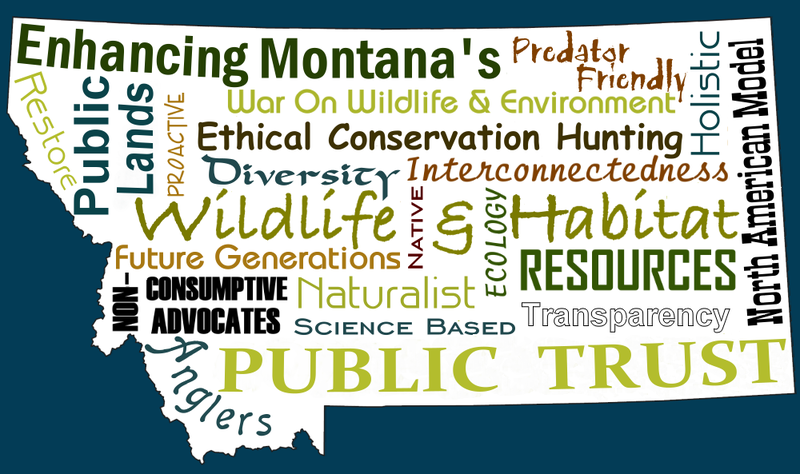 Hunting will continue to be managed by FWP through the Montana Fish and Wildlife Commission. b. 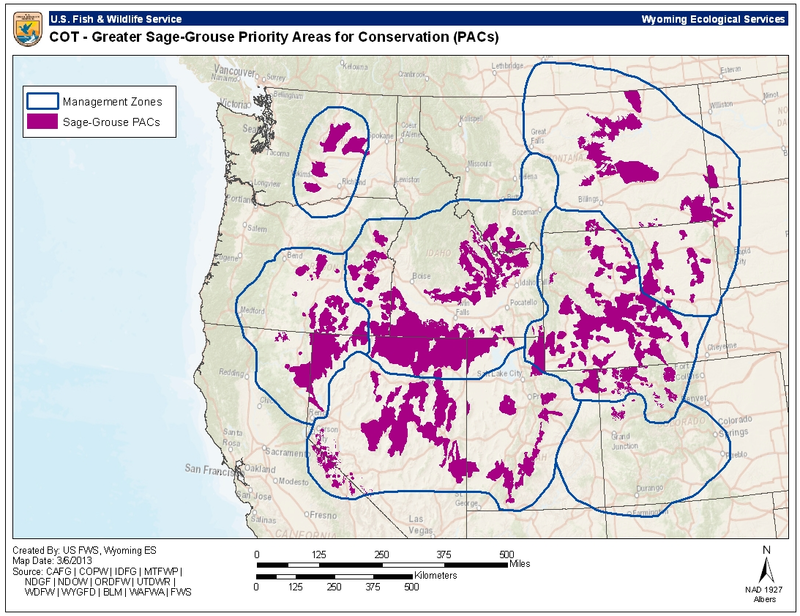 A framework of hunting bag limits and area closures was originally outlined in the Management Plan and Conservation Strategies for the Greater Sage-Grouse in Montana – Final. 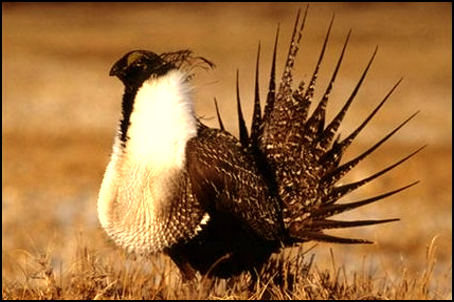 FWP will continue to annually monitor sage-grouse population fluctuations and work with the Commission to adopt appropriate hunting season regulations. c. FWP will re-evaluate and further adapt this season-setting approach including re-examining closure (and opening) criteria, hunting districts, season length, and season dates. Establishment of hunting districts/zones will be considered during the annual season setting process. "